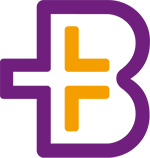 is our mission and promise to our Clients..."
welcome to blu medical Ltd.
We are a modern, innovative medical supply company based in the midlands, whose main focus is the individual needs of our customers. Our goal is to supply each of our customers with the highest quality of orthopaedic aids such as bandages, braces, orthotics, compression garments and other health care products, customised to suit their individual needs and therapy. „The right medical device to suit your therapy“ is our mission and promise to our clients. To fulfill this promise, we co-operate with various global suppliers in the health industry to ensure access to a wide variety of high quality products at all times. blu medical Ltd.’s sister company, Sanitätshaus blu Ltd., is a chain of 6 medical store branches located across south-west Germany with over 30 full-time employees: www.saniblu.de. Since 2011, Sanitätshaus blu Ltd. has grown steadily through continued differentiation from existing competitors in providing patients with innovative products combined with a unique service. drawing on years of experience, highly trained staff and a wide network of world renowned manufacturers of orthopaedic aids and medical products in the health industry. PHYSICAL RESTRICTION, INDEPENDENT OF WHAT FORM, CAN MAKE OUR DAILY LIVES MUCH MORE DIFFICULT. THERE ARE MANY REASONS AS TO WHY OUR WHOLE BODILY FUNCTION MAY BE OUT OF SYNC. WE AT BLU MEDICAL LTD. HAVE MADE IT OUR PRIORITY TO HELP SUPPORT YOUR BODY WITH THE BEST ORTHOPAEDIC PRODUCTS AVAILABLE ON THE MARKET. SOMETIMES THE SITUATION YOU ARE IN MAY BE QUITE DIFFICULT, BUT OFTEN THE SOLUTION IS QUITE SIMPLE. IT IS OUR GOAL TO APPLY OUR SPECIALISED KNOWLEDGE AND RESOURCES, TO HELP YOU MOVE MUCH LIGHTER THROUGH LIFE. The orthopaedic technology sector is an area of expertise covering a wide range of orthopaedic aids and methods of application. This comprehensive area is our core competence and our utmost priority. There are two main areas which we focus on in this sector: orthopaedic bandages and orthopaedic braces. The fundamental function of an orthopaedic bandage lies in its compression effect, which is achieved using a combination of various design features. Some of the bandage types from our product portfolio are for the ankle, knee, back, hip, shoulder, elbow, wrist and abdominal area. The orthopaedic braces we have to offer, cover every client’s individual situation; from the short-term therapy for a simple ankle injury to long-term rehabilitation and permanent support for the spinal area. In addition to the customised manufacture of orthopaedic insoles, it may also be necessary to custom manufacture other orthopaedic products such as bandages and braces, to best suit your needs. Please contact us directly for further information on our custom made range. We also offer a wide range of additional health products to complement and support your therapy. Our product range spans from a hand exerciser that you can carry around in your pocket to an oversized exercise ball that you can use at home. 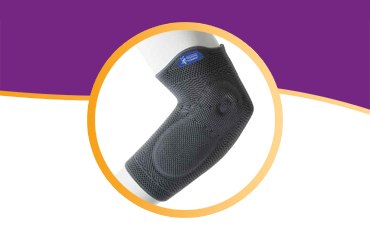 For those customers who need to take things a bit easier you will also find what you need in our product portfolio; from a wide range of products to help maintain and use your orthopaedic aids to fully automatic blood pressure appliances. 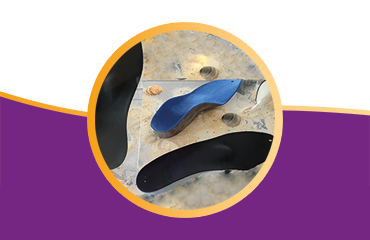 The manufacture of various types of customised orthopaedic insoles is another one of our core competencies. 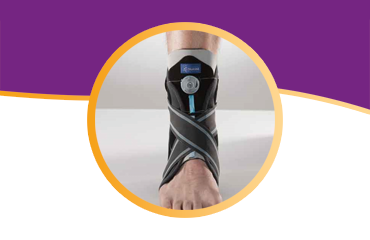 We provide a diverse range of miracle foot solutions. Even the classic foot insole with primarily a mechanical function is customised in several innovative designs. The exact planning and manufacture of the correct insole for you is our priority. Many factors play an important role in achieving the best possible result for you and these factors are considered for each individual patient in advance. For example, how much space is available in your shoes? How sensitive are your feet? To what extent do we want to influence your statics? Questions upon questions that lead to the only answer: the perfect insole for you! Practice equipment and supplies is a new service area which blu medical is bringing soon to the Irish market. For your practice supplies, our goal is to offer you a clear concept for the purchase of the essential products your practice needs on a day to day basis. 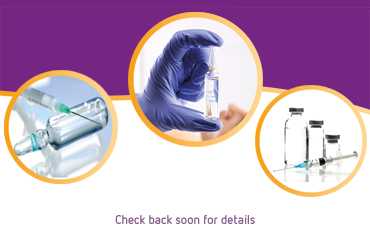 From our extensive product portfolio of practice supplies, you can choose a package suited to your needs with the ease of dealing with one competent partner. Let us advise you on the best solution for you at the best price! BELOW YOU’LL FIND A SMALL EXTRACT FROM OUR PRODUCT PORTFOLIO. IF YOU ARE INTERESTED IN A FULL OVERVIEW ABOUT OUR PRODUCTS DON’T HESITATE TO VISIT OUR ONLINE STORE OR CONTACT US. Heel spurs, symptoms from over usage, Osteoarthritis of the foot and knee joints. The manufacture of various types of customised orthopaedic insoles is another one of our core competencies. 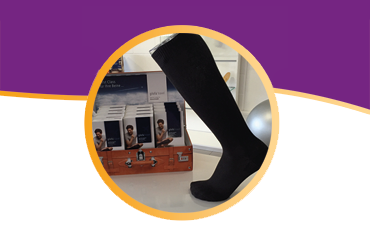 The graded level of compression is reduced from the ankle upwards, thus supporting blood return, helping to combat leg swelling and preventing travel thrombosis. 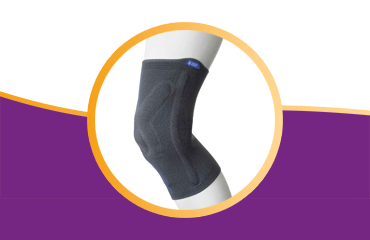 Patellar knee bandage with reinforced proprioceptive action 3D elastic knit. Highly-elastic shaped knit for popliteal fossa comfort. 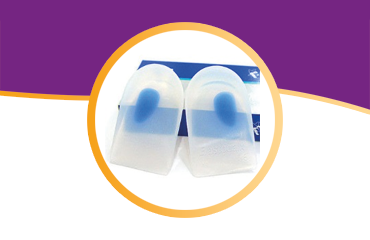 Y-shaped inserts for an improved and reinforced intermittent stimulation of the joint. Lateral reinforcements. Compression bandage with incorporated pad to exert pressure on the radial or ulnar muscle group in the underarm area. Increases stability and relieves pressure on the tendons. 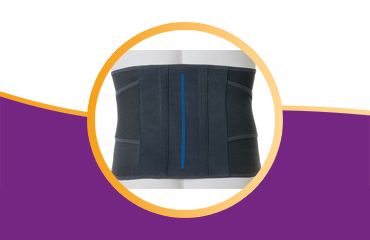 Posture-correcting lumbar support belt. Additional adjustable dorsal support. Relieves lower back pain, muscle fibre pain etc. 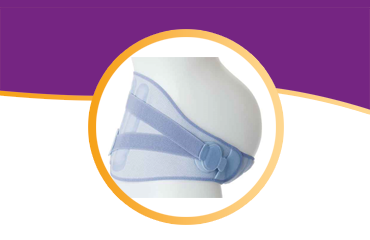 This adjustable maternity belt gives support for pregnant women who seek relief from hip and pelvic pains and other common stretching pains during pregnancy. Supports the excess pregnancy weight. Prevents back strain by lessening spinal pressure effectively. 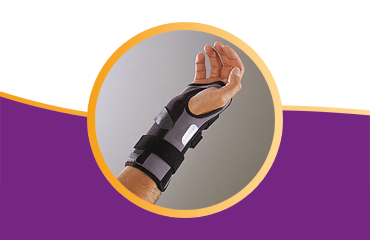 Compression splint with easily adjustable Stabilisation element, ease of application with Velcro fasteners. Brace for stabilising the ankle joint with Boa closure system and with limitation of pro and supination. Also available with lacing. 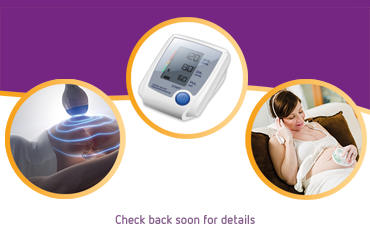 With our medical equipment range coming soon to the Irish market, we can offer you a wide range of modern medical technology to fulfil your practice needs. 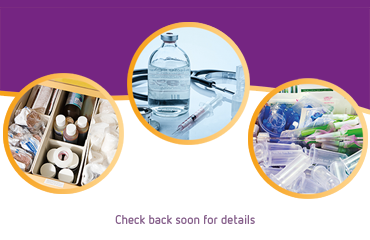 From our extensive product portfolio of practice supplies, you can choose a package suited to your needs with the ease of dealing with one competent partner. Lab and clinical research shows that Hyaluronic provides effective relief from joint pain and can also be used to improve wrinkles in aging skin. blu medical Ltd. was established to bring the best medical devices on the market to Irish customers at the right price. The company was founded based on years of experience in the medical devices industry, highly trained staff and a wide network of world renowned manufacturers of high quality products. We are happy to announce, that we are finally ready to present you our new Online Store at www.blu-medical.shop. It is the next step to provide you a better overview of our products and give you an easy option to get in touch with us and our products, without the need of visiting us in our local stores. We have made every effort to provide you with a high quality, modern, innovative and informative web experience and hope we have achieved this with the launch of this Website. Formation of blu medical Ltd.
With the formation of blu medical Ltd., Dr. Denise Brady and Joachim Hackl together with the whole blu team, are looking forward to supplying you "with the best products on the market to suit your therapy". Please find all Information about us on this Website. 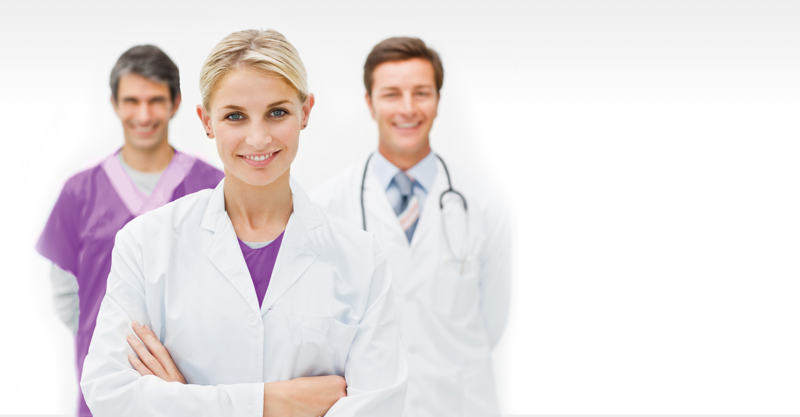 blu medical Ltd., was formed to bring years of experience and knowledge in the medical industry to Irish customers. Company director, Joachim Hackl founded Sanitätshaus blu GmbH in Germany in 2011 after over a decade of business success in the medical devices industry. In the years from 2011-2015 Sanitätshaus blu was able to gain ground and reputation in a heavily saturated and stale market and opened 6 medical stores across Germany. Sanitätshaus blu is now one of the fastest growing medical store chains in the German market. This growth is sustainable, since the core of the blu brand stems from an exceptional dedication to quality combined with a focus on building a highly skilled and motivated team to be there for our customers. This spirit is further strengthened by the addition of Dr. Denise Brady to the management team in 2015, who brings with her years of experience in sustaining company growth across a wide spectrum of industries, including the medical industry. © 2019 blu medical Ltd.. All rights reserved.